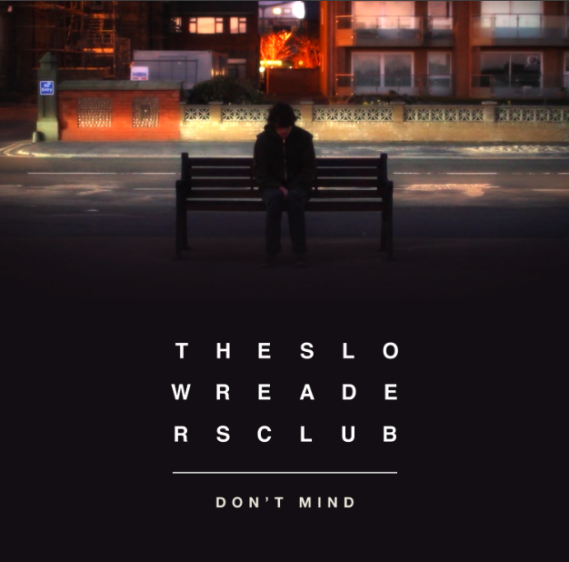 We are delighted to have been asked to premiere The Slow Readers Club's new video for their forthcoming single Don't Mind, due for release on September 22nd. The song is the follow-up to Start Again, released earlier this year, and should feature on the band's second album which they are in the process of recording. The band launch the single with a gig at Manchester's Night And Day Cafe on September 20th. Tickets for the show can be purchased through this link. As singer Aaron Starkie explains “Lyrically the song concerns the limbo period that can be experienced at the end of a relationship. One of you has already called it a day and the other hasn't let go; it’s in a half dead state. One of our favourite songs is ‘I Know It’s Over’ by The Smiths which has a similar theme, that was probably an influence." "It started with the keyboard riff, and vocal, the melody came in one go from start to finish, that rarely happens but often the best songs are those that come so easily."